Histological appearance of a cross section of the ureter. 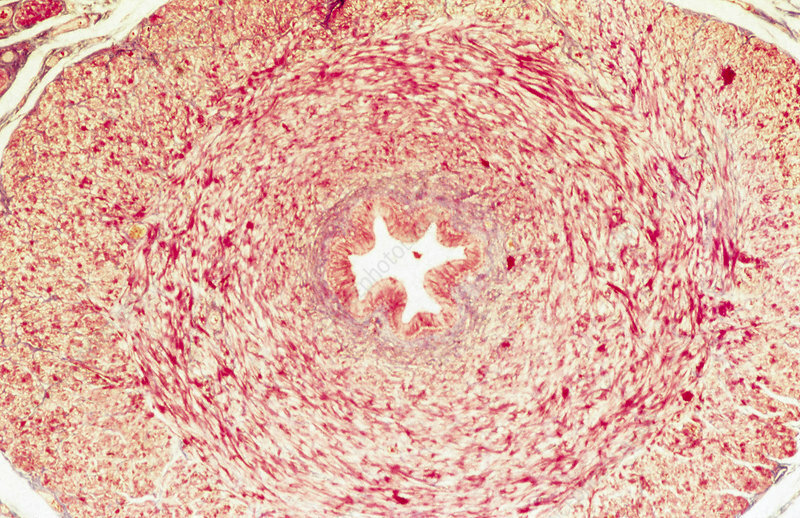 The folded ureter epithelium in the centre is surrounded by a tick layer of smooth muscle (yellow) and fibrous (red) tissue. Elastica van Gieson staining and 20x magnification.